For those living in cities or areas where you don’t have access to land for growing your own fruits and vegetables there is still a solution for you. It’s found in the sub-irrigated planter. Just because you live in a city doesn’t mean you can’t grow your own fresh fruits and vegetables. What the Heck is a SIP? The sub-irrigated planter or SIP is a modern form of a raised bed with the added advantage of a self-watering irrigation system. The water is introduced from the bottom of the container, allowing the water to soak upwards to the plant through capillary action. SIPs can be made from many different containers ranging from large to small. And once you understand the principle of how one is made you can apply that to practically any container and be well on your way to growing a fantastic garden. Not only is there an 80% decrease in water usage in a plant to plant comparison than found in a typical garden but it also doubles the production output of a garden and on top of that it is weed free! Best of all this system allows city dwellers to essentially bring their own land with them and place it on their balconies, patios or a city roof. 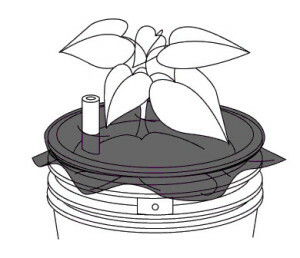 This type of design allows for a bottom up watering approach rather than a top down approach that is typical in potted plants or plants growing in a standard garden. 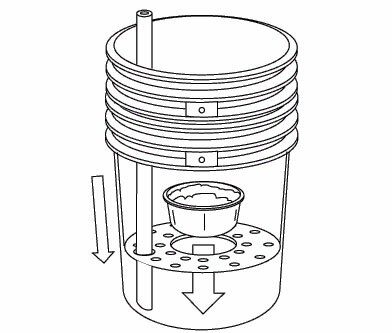 Since the water is pulled up from the bottom, as long as the water reservoir remains full the plants will draw the water as needed. There is no risk of over- or under-watering the plants. Place one bucket inside the other and put them in front of a light source to see the space created between them – this gap will act the reservoir that will hold the water. Measure the height of this space and mark that measurement on your smaller plastic container, starting from the bottom. 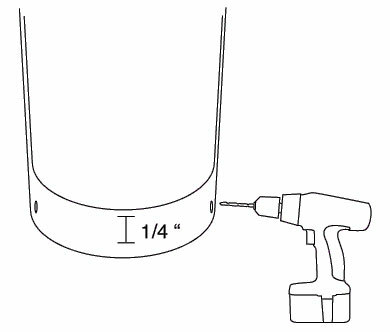 Add 1/8” to this height and measure the diameter of your container at that height. Turn the first bucket upside down and mark the center. Around the center draw a circle whose size to the diameter you just measured on your plastic container. Using this circle as a guide cut a hole in the bottom of the bucket that is just smaller than the diameter of your small plastic container. If you have a jigsaw, use this to cut the hole. If not, drill a series of small holes around the perimeter of the circle and use your snips or scissors to finish the job. 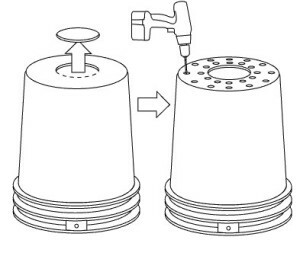 On the same bucket drill roughly 25 ¼” holes evenly spaced around the larger hole you just made. Drill or cut a hole in the bottom of the bucket that corresponds to the diameter of your watering pipe or tubing. Cut the bottom of your tubing at a 45-degree angle to prevent the tube from clogging in your bucket. With your box cutter slice 4 vertical slits in the sides of the smaller plastic container making the slices evenly spaced around the perimeter of the cup. Do not cut through the bottom or lip of your cup. 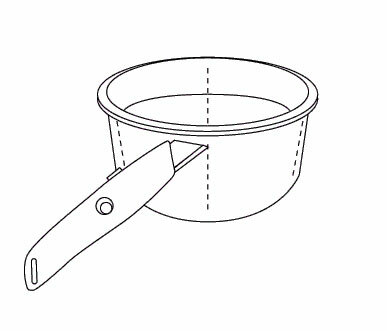 Place the bucket with holes in it inside the other bucket. 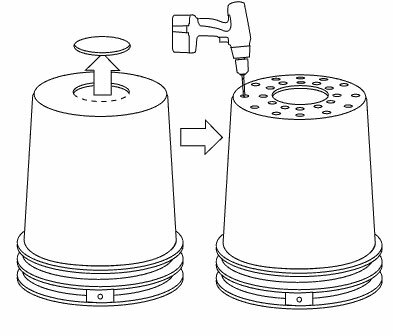 Place the buckets in front of a light source as you did earlier and drill two ¼” overflow holes on opposite sides of the outside bucket. These holes should be a quarter inch below the bottom of the inside bucket. 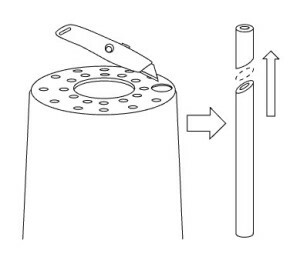 With the buckets stacked together, place the plastic tube through the hole you made for it angled end first. Pack the small plastic container with wet potting mix and set it inside the large hole in the center of the bucket. Fill the first bucket ¾ full with damp potting mix making it fairly compact. Plant your seedling and top off the bucket with potting mix. Water your seedling from the top, for the first and only time to saturate the soil. After that point, water your plant using the fill pipe. Take one cup of fertilizer and sprinkle it around the outside edge of the bucket leaving as large of a space of plain soil in the middle as possible. Take your plastic bag and make two slits in it, large enough to fit your seedling and watering tube through, respectively. Place the plastic over the top of your bucket while gently feeding your seedling and watering tube through the slits. Secure the plastic with a zip tie or string. When watering you’ll want to fill the reservoir until the water comes out of the overflow holes. As mentioned before this self-watering system makes it impossible to over-water your plant. Every few days take a look at your reservoir and fill as necessary. During the growing season there may be times when you need to water every day so be sure to pay close attention. If you prefer not to make your own, there is a commercial variant of a SIP called an Earthbox which can be purchased at the Earthbox.com site for $50 per box (a homemade one is much cheaper). Green Roof Growers: A blog about three people’s experiences growing heirloom vegetables on the Chicago rooftops using SIPs. what vegis are recommended? Any limits on what you can grow in these things? Squash? Zuchini? Tomatoes obviously would work, peppers and such as well. Just wondering if the larger plants would still work. Let me know. I haven’t heard of any limitations as to which plants (I imagine watermelons wouldn’t work due to the extensive root system) but I imagine most plants would work since both tomatoes and corn grow very well in these buckets. If the standard 5 gallon bucket doesn’t work for you, I’ve seen people having success with the 30 gallon tubs you’d find at any walmart (very similar to the commercial boxes you get from Earthbox.com). If you do decide to go with trying out some SIPs this year be sure to check in with your results. I have a question regarding your comment about “food grade” buckets. How does one evaluate the food grade of a plastic bucket? I really want to try this system, but am stumped a bit by some of the requirements, food grade buckets, being one. Thank you very much for your great description of how to do this system. 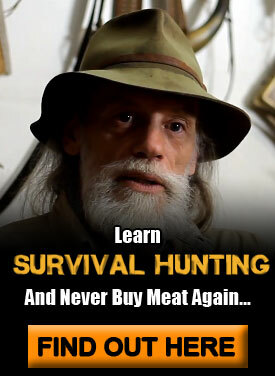 I look forward to trying it – once I get the bucket issue settled! It’s not always easy determining if a bucket is “food grade”. You typically need to contact the manufacturer of the bucket to ask them whether it is food grade or not. The safest thing is to purchase buckets that are sold specifically as food grade (just do a google search for “food grade 5-gallon buckets” and you’ll get good list of them). There is however a much easier way of getting as many buckets as you want for free (or very inexpensive). Just call around to some of your local bakeries. Every day they use up flour, spices, sugar, filling and many of their other ingredients that get shipped to them in these buckets. Because of this, they end up with a bunch of empty buckets laying around that they’ll typically give you for free or sell you very cheap. Thank you for your reply! I just called a deli in town and they have about 30 buckets that they would be happy to unload!! I am so excited about this! Now, I have another question. I want all of my gardening to be organic. What fertilizer can I use in that “ring of fertilizer” that is organic? And one more thing, please: I was looking at your recipe for your wicking material-“soil”, and I was wondering if your ratios are by weight or volume. Because I am new at this, I want to follow directions as closely as I can, but I didn’t really know what to do with those percentages. Than you very much for answering me above!!! I love getting an answer! And I will be interested in your response to the questions here. Sure thing. Good job on finding those buckets. Many of the above ingredients cannot be found at your typical big-boy gardening store. You’ll need to get that at farm distributors (cheapest) or smaller organic gardening places (more expensive). Btw, the “wicking” soil I mentioned in the article is also measured in volume. Good morning, Erich. Okay, I have six five gallon buckets. A bit less than the thirty I was told about last night. Anyway, I have another question: can one ever sow directly into this garden, or are you only supposed to transplant seedlings? I have some lettuce seedlings started only because I came across an envelope of seeds from a few years ago, and I was wondering if any would germinate. I have heard that you are not supposed to transplant lettuce. Is that right? If so, then sowing directly is my only option… and I haven’t read or heard a comment on that. I have not had any personal experience with seeding in the buckets directly (although I’ve transplanted lettuce without issue) but I assume that it would work. 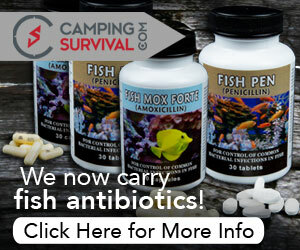 Why not try one as an experiment (seeding) and let us know how it works out. I’d love to hear your follow up. Has anyone here tried growing potatoes? I have never intentionally grown potatoes – only harvested some from my compost pile!! I have heard that, if you keep adding soil, you can get the plant to produce more and more potatoes as it grows. 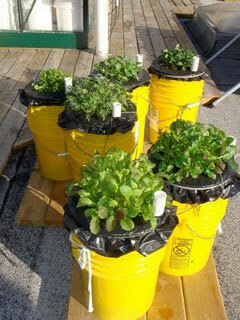 So, I suppose that one could add another bucket with no bottom, just to support the plant and the growing medium. I have no idea, yet, how high a plant grows that is being treated this way. Does the potato need anything different in the way of fertilizer from the tomatoes or peppers? And one more question: I have seen that we are supposed to cover the top of the bucket with black plastic. But, if one is growing greens, say, then do you just forego the black plastic altogether, or do you still, somehow, cover the growing medium at whatever point you can? Thank you very much for your patience as I sort this out!! I’m not positive as to the potato question (with regards to fertilizer requirements). I assume it will need the same as other plants if you’re using the organic fertilizer. I think adding a bucket as the plant grows would be a good option. This is similar to another way I’ve seen it done — stacking old tires on top of another as the plant grows and adding soil to the newly stacked tire. To your black plastic question, yes I would still try to incorporate it as much as possible even with greens. This keeps moisture in and weeds out — both very important to support the growth of a healthy plant. And yes, I will gladly experiment with direct sowing into the bucket with a report to follow! Your comments about getting food grade buckets from bakeries is certainly true. Larger (as in regional industrial) bakeries use huge quantities of materials they get in 1, 3, & 5 gallon buckets. I have also gotten quite a few 5 gallon pickle buckets (of all things!) from the sorta smallish local hamburger joint next to our own small business. Apparently almost all restaurants get at least some of their condiments and maybe other items in various size actually food grade buckets. Ask at the ones you go to frequently enough that they recognize your face if not know you by name! Plastic PVC pipe its smooth surface provides maximum flow capabilities. 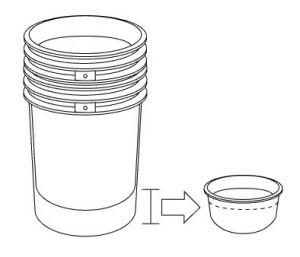 This method – using 2 buckets – is extremely wasteful. Much better to create a reservoir in the bottom of the bucket using an overturned container. Straight peat packed around the outside, up to to the waterline, where the regular mix begins. 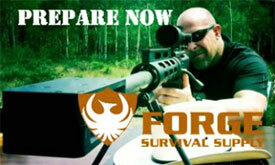 The method I just laid out also prevent any sort of fabrication – no drill necessary.